Set of 1200 total sheets! 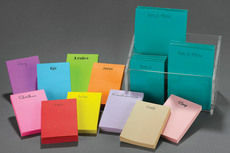 Pad sizes range from 2.75" x 4.5" to 4.5" x 5.5". 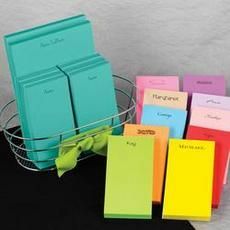 Set of 12 notepads each with 100 sheets. Flat printed in black ink on your choice of stock color and typestyle. 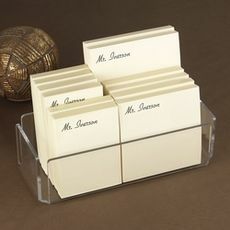 Acrylic holder available, additional fee.